I had most of the ingredients on hand and it was fairly easy to make. 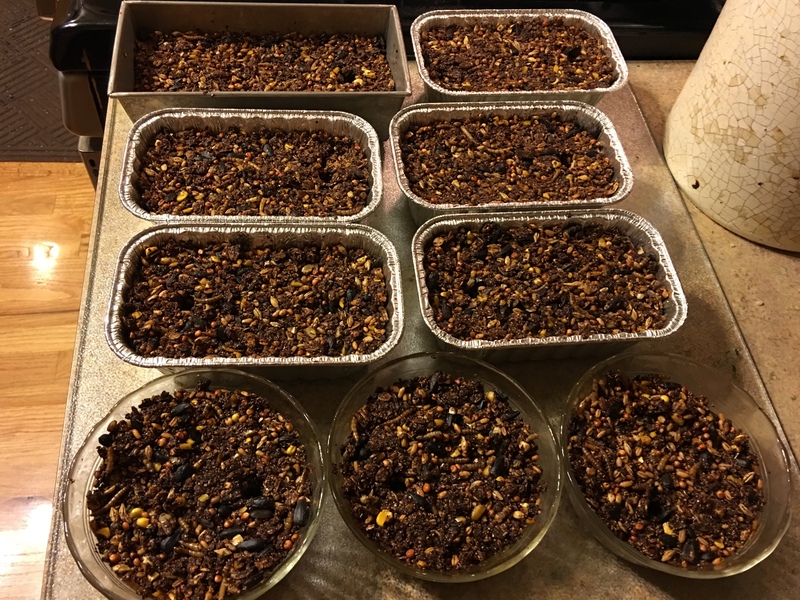 I added dried meal worms to our recipe, just because. I used the small pans as suggested in the article. I also let them cool overnight. The author mentioned that she had some crumble apart when taken out of the pans warm. The hens were wary of this as they are with anything new. 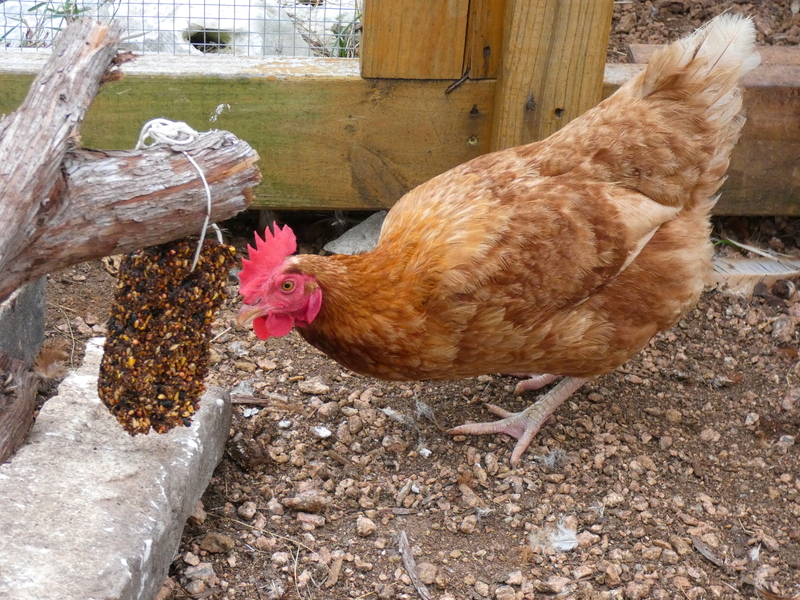 We had one brave hen who decided to go first and was well rewarded for her bravery. Maybe it will look better from this angle. Going in for a taste. Once she tasted it, she went at it with gusto and broke the string that was holding it to the log. 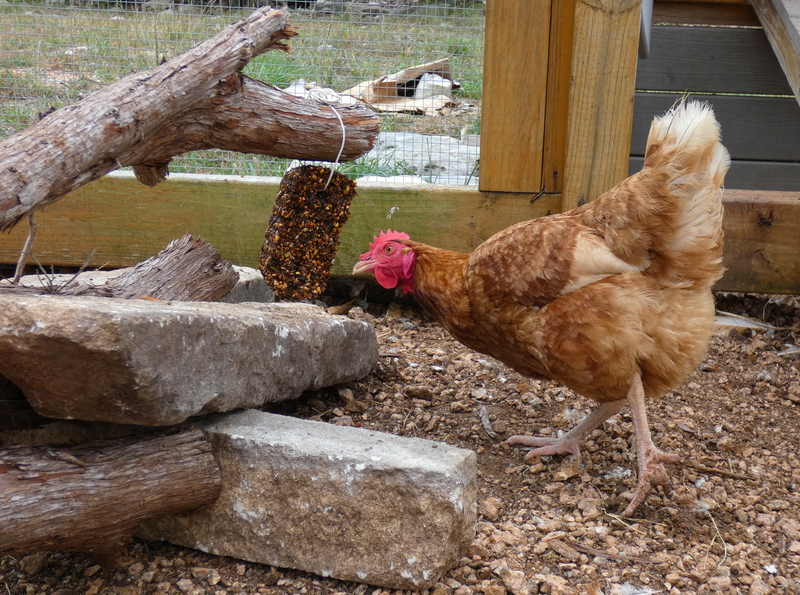 It took the other hens a few moments to catch on that there was a treat. 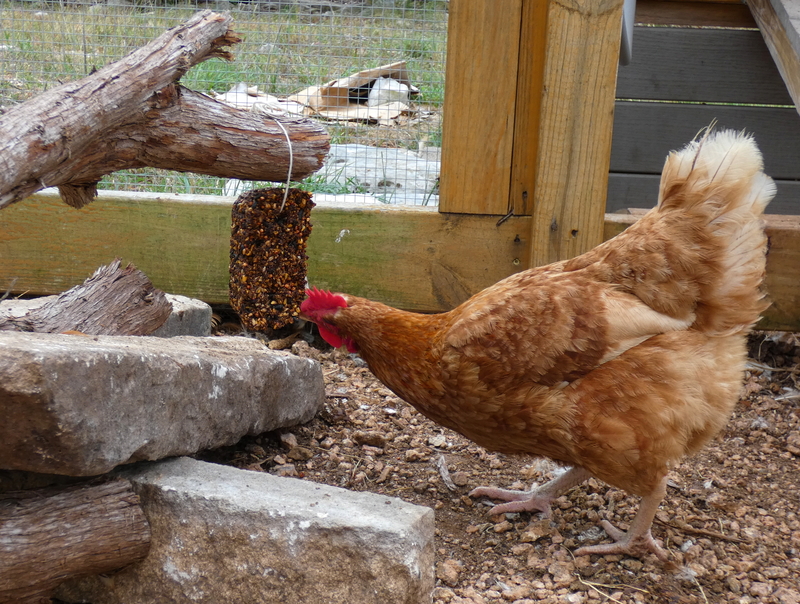 It proved to be an easy, inexpensive way to give the hens a treat and distract them for a little while. Definitely a recipe to keep. 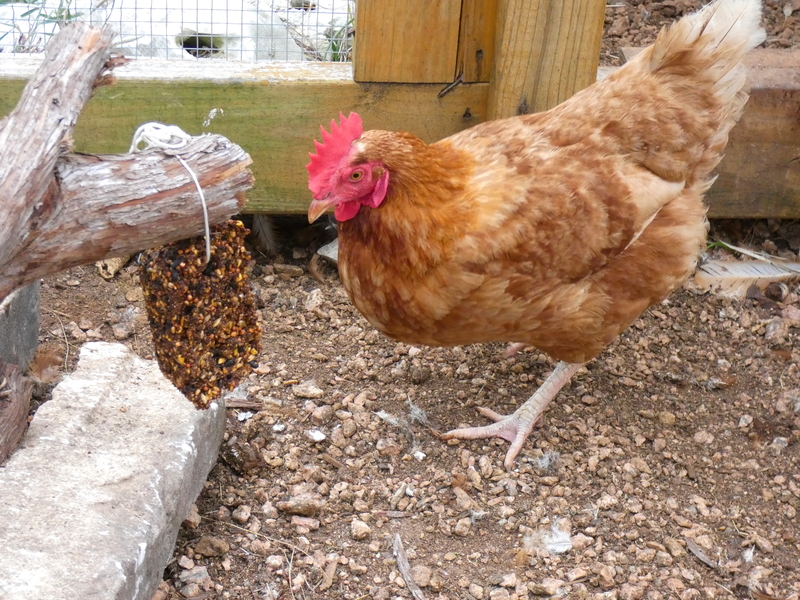 Venture over to Mavis Butterfield’s blog for more chicken, gardening and money saving ideas.